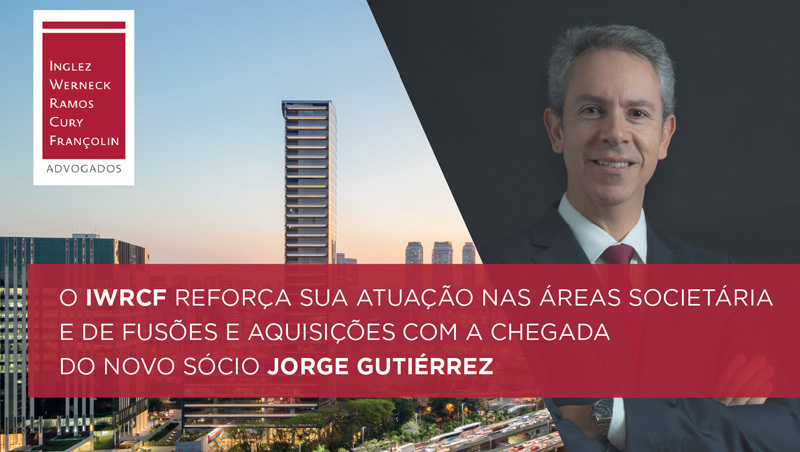 Luiz Werneck was selected as the best Media & Entertainment lawyer in Brazil by Client Choice 2019. IWRCF’s Merger Control (Antitrust) and Civil & Commercial Litigation practices were aknowledged by the 2019 edition of the international publication Leaders League. Andréa Pitthan Françolin was included in the global edition of the ranking for her practice in Dispute Resolution: Litigation. How to avoid damages claims arising from the promise to hire? We invite our clients to watch, free of charge, online presentations related to current legal topics. Contact us and request our webinar schedule for the coming months.